just beautiful, my friend was so very happy with her delivery .... ill definitely be using your services again ..
My aunty loved the flowers, so thanks guys!! I ordered a plant for my Mum for Mothers day. The florist chose a lovely cyclamen that my Mum was thrilled with. 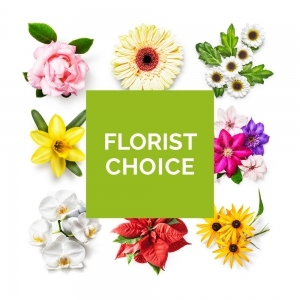 Wanted flowers delivered for Mothers day ON Mothers day AS REQUESTED only to have them delivered the following day. Very unhappy with service, especially considering the price payed for gift. The Mother&rsquo;s Day flowers were beautiful! <br/>Dropped off on the correct day and very reasonable! <br/>Very happy with your services. Thank you! Fantastic communication, service and stunning flowers! Thank you! The flowers for my daughter in the birth of her first baby boy. She sent me a picture of them and they are beautiful - she is delighted thank you. I have heard from the recipient and she was so pleased with the flowers, she said they were beautiful. Easy to use the site and made finding what I was wanting super easy. will be coming back to use the site again for the next time I am wanting to buy flowers. Florist contacted me by phone to warn of a potential issue. This was greatly appreciated. I believe flowers were still delivered on time. Beautiful flowers, efficient and prompt service. Absolutely beautiful flowers my sister was thrilled ???? Great had to send last minute from uk as another gift had not arrived in time for Christmas. Flowers were beautiful and in my daughters hand within a few hours. Thanks so much. Quick delivery and beautiful flowers, thank you. Great variety, however I would have preferred a better variety of potted plants and or flowers as there were only 2 options and one was a Mother's Day gift ...the person recieveing the gift wasent my mum ,I would so suggest more stock in the cheaper variety of flowers as all my selection were &quot; out of stock&quot; at time of purchase! The recipient loved the gorgeous fresh flowers, in a boquet made up of the most beautiful colours and the vase to match will hold many bunches of flowers in future . Thank you for your helpful and efficient service, these flowers were ordered from South Africa and were delivered on time . Great arrangement. Recipient very happy. Reported to be a lovely bouquet, very pleased, thank you. They even rang me in Australia to discuss delivery dates for Mothers day. 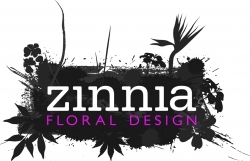 Another excellent bunch of aromatic flowers delivered on time by the good folk at Zinnia! They are fast becoming my favorite florist of all time! My mum loved the flowers and was thrilled with them. Great basket and mum loved it so all good! Great flower arrangement with no hassles. Obviously, I didn't get to see the delivered flowers but the recipient said they were lovely. Was advised by recipients that the chosen arrangement was beautiful and delivered as requested. Waiting for a response from the supplier. Delivery as expected. Thank you. Efficient But should make it clear that rural delivery leaves the florist at lunchtime the day before they get to the recipient - even if they are only ten minutes outside town! My mother was thrilled with her birthday basket of flowers. I would use them again - my mother is thrilled with the plant she received. Delivered on time and looked just like the picture! I ordered from the UK for delivery to New Zealand. Excellent prompt service, lovely flowers and reasonably priced. I would definitely use them again. It is very easy to use and very convenient. Going out of their way to deliver flowers, thanks so much! Had a thankyou from the recipient for the beautiful flowers which certainly helped brighten my day". (she is in hospital and likely to stay there for a few weeks yet)"
Had a message from the friend who received the flowers to say they were beautiful. Delivered on the intended day. Fantastic service. The flowers were beautiful and delivered so quickly. Can't recommend them enough. Thank you. Never saw what was delivered but recipient replied that they did brighten her day. My mother was very pleased with the cyclamen that was delivered & phoned to tell me that it is a lovely healthy plant with lots of flower buds, so she will enjoy it for a long time. 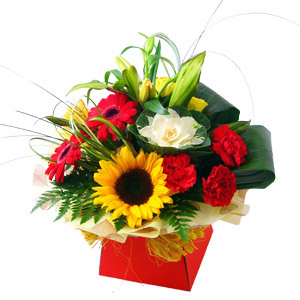 I have been very happy with this florist and the flowers delivered are always beautiful. Thank you. Person who received the flowers said they were beautiful and was most impressed. I never actually saw the flowers, but was told that they were beautiful. Delivery was on time. Will definitely use this website again..
Receiver commented that they were the most beautiful flowers she had ever received. "Absolutely gorgeous". Will be using this florist again in the future. Delivered on time and apparently were lovely. delivered on time and very appreciated by my mother..it seems strange that the web page dedicated to mothers day then asked what date you wanted them delivered? Would have thought that was a given.. Interflora's page didnt even accept orders for that day,probably the busiest day of the year..some people dont want to earn money eh? Well Done Direct2florist!! My step-mum loved the flowers emensely. She told me that I spoil her too much, but you can't spoil your mum enough, ever! My mother received exactly what I asked fond it was reasonably priced. Brilliant. They picked up my order when it was rejected by another florist due to the accessibility of the address. I was afraid that my best friend wouldn't get the flowers but she left a lovely message to say she got them in after a hard day's farming. Thanks to Jenn and everyone at Zinnia for amazing service! Will definitely be using you for her birthday in January. My mother said the flowers were beautiful, BUT, I asked for a morning delivery and there were not delivered until 3pm in the afternoon. Lovely pinks gerberas and lilys. Not a huge bunch but very well presented and still worth it.